tender as time, more often than not, isn’t the decisive argument anymore. 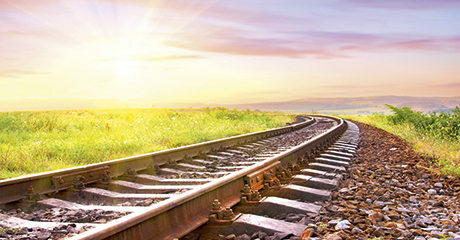 But what makes rail transportation a real alternative? Rely on such transports with significantly lower environmental impact. We show you how. See a few of our transportation routes throughout Europe in this short animated 3D map. It will only take you 14 seconds. "LTE-group | Route Map Europe 3D"
A very simple comparison illustrates why “green logistics” pays off. When transporting food by plane, 1000 g of CO2 are emitted over 1000 km per kilo of commodities. Transportation by lorry emits 200 grams. But trains win hands down with only 80 g of CO2 per kilo – only ships are better for the environment with 35 grams. 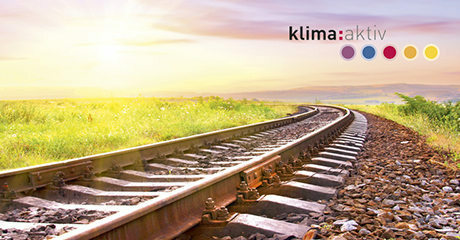 LTE-group is a member of klima:aktiv, the environmental initiative of the Austrian Federal Ministry of Agriculture, Forestry, Environment and Water Management. In Austria, more than 90% of the electricity for locomotives comes from eco-friendly hydroelectric power. We’d like to convince you to transport your goods with renewable energy sources – at least in Austria! 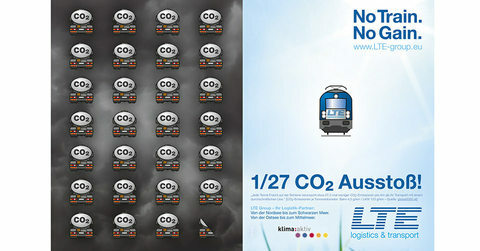 Your advantage for our Environment: 1/27 CO2! 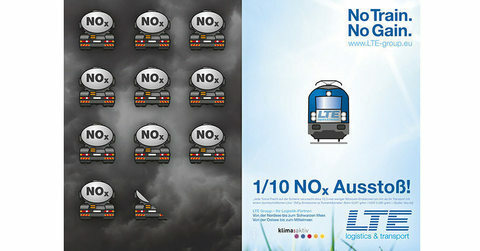 Your advantage for our Environment: 1/10 NOx! 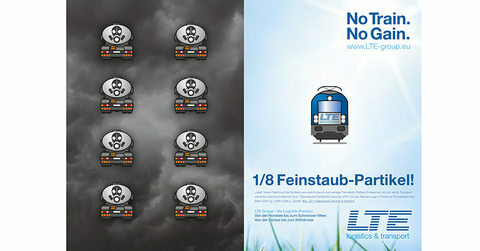 Your advantage for our Environment: 1/8 fine dust! Priority to Environment and Railway! 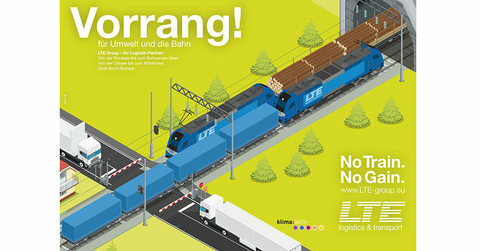 Freight transport in an isometric landscape. Your advantage for our Environment: 1/3 traffic area! Freight transportation in an isometric landscape. Your advantage for our Environment: 3,8x energy use! 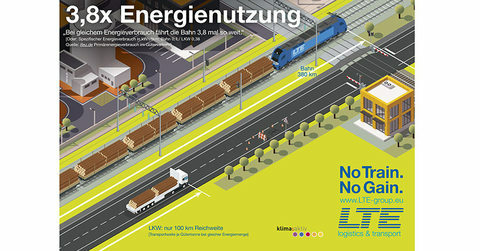 Freight transportation in an isometric landscape. Priority to environment & railways. 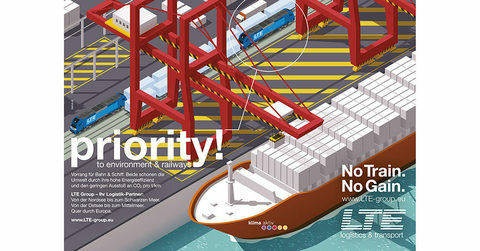 Train & Ships - efficient energy use, less CO2! 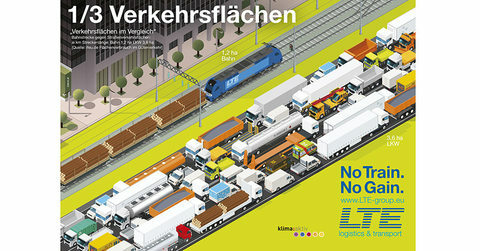 Freight transportation in an isometric landscape. contact the branch in your country with no obligation!